Young served as Chairman of the Board of Scientific Advisors of the National Cancer Institute from 2004 to 2009. He is past-chairman of the board of the National Comprehensive Cancer Network, a nationwide alliance of leading academic cancer centers dedicated to insuring the highest-quality, cost-effective cancer care and past member of the National Cancer Policy Board of the Institute of Medicine. A fellow of the American College of Physicians, Young is a member of the prestigious American Society of Clinical Investigation. He has served as a member of the subspecialty board on medical oncology for the American Board of Internal Medicine, and on the Experimental Therapeutics study section of the National Cancer Institute. Young served as an Associate Editor of the Journal of Clinical Oncology from 1987-2001 and currently serves as Chairman of the Editorial Board of Oncology Times. In 1995, he served as Chairman of the General Motors Cancer Research Foundation’s Charles F. Kettering Selections Committee. Dr. Young currently serves on the Board of Directors of West Pharmaceutical Services, Inc., Human Genome Sciences and AVEO Pharmaceuticals, Inc. He also serves as Chairman of the External Advisory Boards of the Dana Farber/Harvard Cancer Center, the Ohio State University Cancer Center, and the Huntsman Cancer Center of the University of Utah. Born in Columbus, Ohio, Young received his B.Sc. degree in Zoology in 1960 from Ohio State University and his M.D. in 1965 from Cornell University Medical College. Following his internship at New York Hospital, he completed his residency at NCI and Yale-New Haven Medical Center. He is board-certified in internal medicine, hematology and oncology by the American Board of Internal Medicine. Robert C. Young, M.D. is President of RCY Medicine, a consulting service focused on cancer center productivity, health care quality and health policy. Prior to that he served as Chancellor of Fox Chase Cancer Center in Philadelphia for two years, and for 18 years prior to that was its President and CEO. Fox Chase Cancer Center is one of the NCI-designated Comprehensive Cancer Centers which includes one of the nation’s largest hospitals dedicated solely to cancer and the first such hospital in the country. 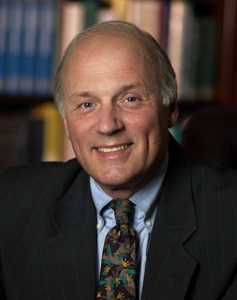 He is internationally known for his work in the treatment of lymphoma and ovarian cancer. He is a past-President of the American Society of Clinical Oncology (ASCO), The American Cancer Society and the International Gynecologic Cancer Society. Young was awarded ASCO’s Distinguished Service Award for Scientific Leadership in 2004 and was co-recipient of the 2002 Bristol-Myers Squibb Award for Distinguished Achievement in Cancer Research for his research in ovarian cancer. A medical oncologist, Young is the author of more than 400 peer-reviewed publications, and based on the number of medical literature citations, he was one of the top 400 scientist-authors in the U.S. for 1980 -1990, according to the Institute for Scientific Information.